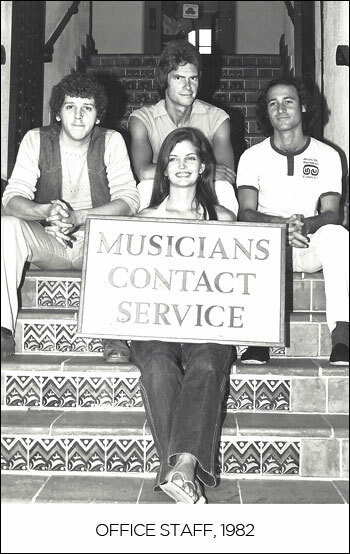 Musicians Contact has been connecting musicians and bands together for over 45 years, from club and casual groups, to traveling bands, to concert and recording acts. 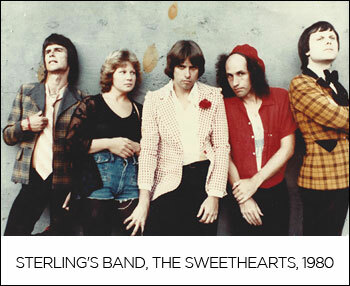 Sterling Howard was a young rock vocalist playing Hollywood clubs in the late sixties. Finding the right band members was always a challenge. There were no magazines or papers at this time for players to connect with each other. 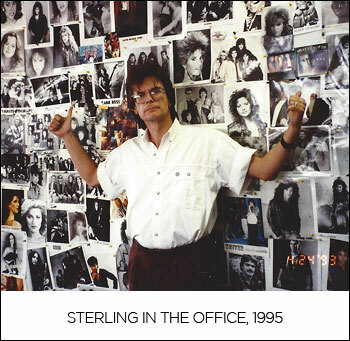 Sterling realized there was a need for a contact service, so he opened an office upstairs in the Whisky a GoGo. The idea was an immediate hit. 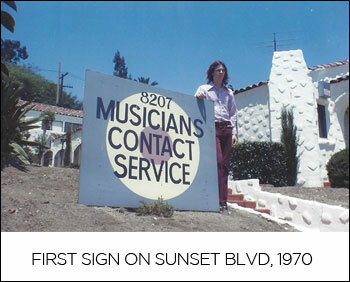 By distributing flyers on the Sunset Strip and posting musician classifieds in music stores, a large number of musicians and bands soon began connecting at the new referral service. Within a year the office was moved to a larger location. 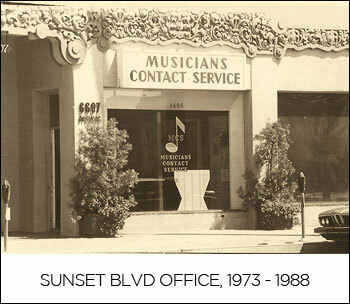 In the early 1970’s, traveling bands found members as they passed through California and as word spread, groups from other states called for replacements. Full time working cover acts became more popular, hiring players for road gigs. By the end of the decade, the office staff had grown to five, and a branch office was opened near Disneyland. Las Vegas groups imported players, and country artists and jazz acts started using the service to hire available players. Soon, disco was dominant over rock in the clubs, before new wave rock knocked out disco. In those days, the job listings were distributed to individual musicians either by phone or in person, but a major change was soon to come. Sterling hired a team of technicians to build a custom made computer connected to seven tape recorders. Members could now call 24 hours, enter a password into their phone, and hear current available jobs. It was primitive by today’s standards, but it worked and remember, the year was 1983! 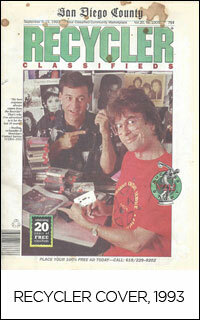 By 1990, cruise ship jobs became more popular and gigs arrived from Asia, seeking players for r&b, funk and soul groups. The “antique” computer eventually gave way to the science of voicemail, so a new computer was put into action to distribute job listings. Entering the era of music videos for TV, managers viewed photos of musicians for use in commercials and videos. In 1995, it was time to upgrade the call-in hotline yet again with an advanced voice mail system, allowing musicians to record their profiles and demos right over the phone. 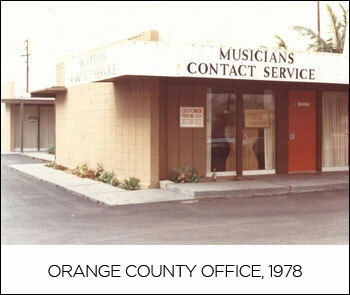 By 1998, Musicians Contact went online with it’s first website, and became truly a national musician classifieds service, although about half of the members were still using the phone system to get their gigs! There have been various website updates and changes to the site, culminating in what you see today. But, the basic function has always been the same since 1969 – a referral service for bands and musicians to find each other. Hopefully it’s been an interesting history lesson as we enter 2018 and beyond! Have a question or comment? Call us or fill out the form below for a quick reply. 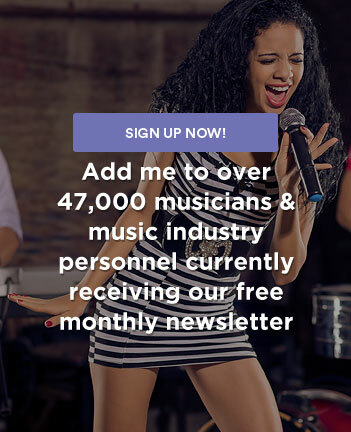 Copyright © 1999-2019 Musicians Contact. All Rights Reserved.